Take home this wonderful collection of one of the highest quality Steam Control™ waterless cookware sets on the market today. The Maxam® 9-Element 17 Piece Waterless Cookware set features extra-heavy stainless steel construction, so durable it’s guaranteed to last a lifetime! Steam Control™ valves make "waterless" cooking easy and the 9-element construction spreads heat quickly and evenly, allowing one to stack cook. Waterless cooking without added oil is healthy cooking and eating! The mirror finish exterior and satin finish interior combine in a classic design elegant enough to go from stove top to dinner table. The handles are superbly styled and are resistant to heat, cold, and detergents. 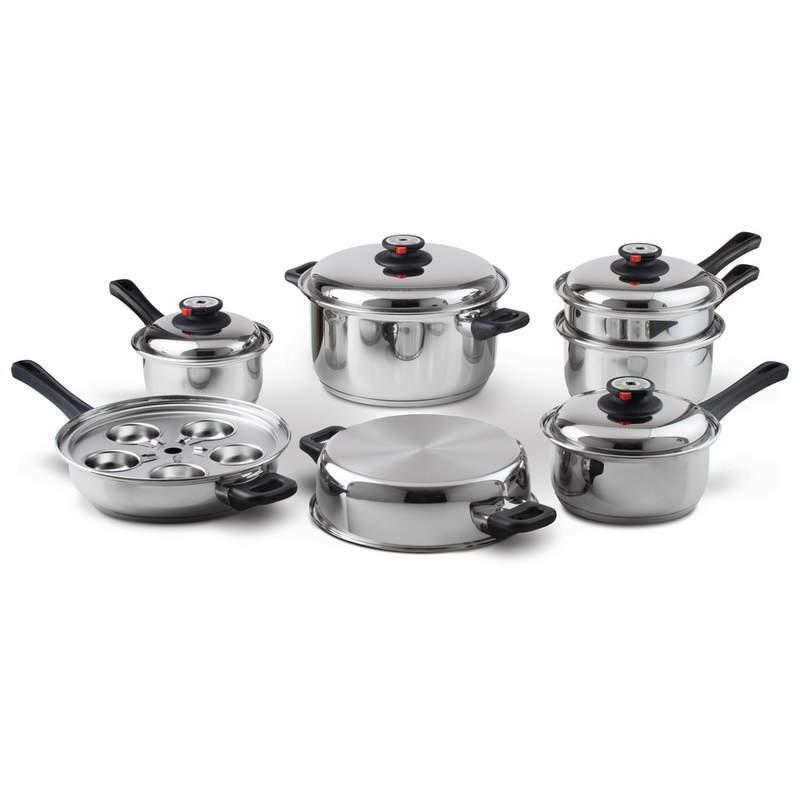 Before you invest thousands of dollars in cookware, consider the advantages and superior features of this Maxam® Steam Control™ 17 piece set. Limited lifetime warranty. Gift boxed.